First, you might want to read what I have to say about what your speakers are worth. The condition of used speakers for sale is an area in which there are virtually no standards. There also seems to be very little understanding of what some words actually mean. One hundred percent functionality is assumed for all conditions except "mint". Original packaging, some or all. Original product literature, instructions, warranty cards, etc., some or all. Original accessories, some or all. "Mint" speakers may very well not function as-new, due to deterioration in storage. They have never been used, which is a requirement to be considered mint. "Antique" speakers may be unusable or non-functional due to antiquated standards, irreplaceable parts, etc. They are no longer speakers; they are antiques now. Mint condition means the way an item left the production line, or the place it was manufactured. For a speaker, this means in a factory sealed carton. Period. End of story. Mint opened: The only permissible exception, this means a speaker that is no longer in its original sealed carton. The only signs of use permitted are fingerprints from taking it out of its packaging for inspection, and even this is sloppy handling. Wear clean white gloves! Mint incomplete: The speaker itself is brand new and never played, but is missing any of the items normally included, like instructions or accessories; or some or all of such items are not in new condition. Original packaging condition should be described. Is it unopened, opened, shopworn, stained, opened for inspection, marked with shipping or inventory labels, etc.? The packaging may show signs of environmental degradation - sun fading, moisture, stains, etc. Decribe them. Any signs of intrusion into the packaging, like stains or rodent/insect visits, may require opening the carton for inspection. There are no markings on any controls or connectors. Every part is original. This will often included deteriorated items like foam surrounds. Original product literature, instructions, warranty cards, etc. may or may not be included. Original accessories may or may not be included. Mint reminder: A speaker is not mint if it has been used. There is no such thing as "near mint". Mint ironies: A genuinely "mint" speaker may be literally falling apart. A single speaker intended for stereo or multi-channel use may still be "mint"
Even worse mint irony: Speakers marked as "factory seconds" are still techincally mint, although of course their value is lower. Final comment: mint condition items are potentially collectible, and potentially antiques. In our era, most speakers worth listening to are neither of these yet. Do not be afraid to actually open and use mint speakers - all you are doing is reducing their condition to "excellent". Excellent: Indistinguishable from mint, but used. Flawless. A "mint" speaker with no packaging is "excellent". This is what people should say when they call used speakers "mint". Any items missing, or worn, that would have come with the speaker when new should be listed. Any signs of use, such as wear on connection terminals, handling patina on control knobs, etc. must be described. Factory modifications are permitted and should be described. Aftermarket modifications are not permitted. Any replacement parts must be factory provided and of the correct vintage. Very good: Perfect appearance from three feet (one meter) away. Marks on the bottom are permissible. Describe them. The bottom rear corners may be dinged, but not in a way that is visible from the sides or front. Marks on the rear may be permissible. Describe them. Very minor scratches, not to be through the surface material, must not exceed one foot (300 mm) total. Any signs of cosmetic wear on grills, badges, etc. must only be visible upon close examination. Marks of use on input terminals, and finger patina on controls, etc., is to be expected. Factory replacement parts may not be of the same vintage but must be appropriate. This could include simply newer parts, or factory-approved upgrades. Aftermarket modifications, subject to the judgement of the marketplace and buyer, are permitted. Good: Perfect appearance from ten feet (three meters) away. Minor grill flaws are to be expected, but no staining, tears, etc. Dinged corners are acceptable, but not on the front top corners. Very few used speakers meet this condition, and thus are "fair" at best. Scratches, not to be through the surface material, should stil not exceed three foot (one meter) total, and must not detract from the ten foot appearance. Any water damage (typically on veneered boxes, due to houseplants) must only exhibit a very slight change of tone and not be visible from ten feet. Fair:The speaker is banged up, has multiple scrapes or water damage on the top or sides, grills may be damaged but should be repairable. Badges may be missing. Parts may have been replaced with "close" or "not so close" replacements. The degree of deviation should be noted. Poor: The speaker functions but has no cosmetic redeeming values. Grills may be missing or trashed. These can technically apply to any condition below "mint". Exact factory replacement parts. This is the only repair permissible for "excellent" condition. Parts with the correct date range of manufacture, when possible, are more desireable. Parts manufactured by the OEM to equal or better standards, specifically for the model in question, range from acceptable to maintaining "excellent" condition, depending on the honesty of the manufacturer/seller of the parts, and to an extent, the judgement of the marketplace. Aftermarket parts are only acceptable if they meet the above criteria for OEM parts. The judgement of the marketplace can be a major factor here. Refoamed drivers. Ideally this service will be accompanied by a dated receipt from the servicer. Materials and appearance of the work must be "factory-like" for any condition above "good". Reconed drivers. Again, a complete provenance is required for "good" condition and above. Note for both of the above: since testing to ensure exact adherence to original parameters is very rare, this factor must be left open to honest description (ideally by a neutral third party). Upgraded crossover parts, terminals, etc. Again, a receipt from the servicer or parts supplier adds value, as do photographs showing the quality of the work. Shoddy looking work reduces condition to "fair" or below. Highly professional looking (and working) work can be present in "very good" condition. Addition of braces or cleats; changing of stuffing material; new grill cloth, etc. These are very much up to the marketplace and buyer/seller agreement; in some cases such improvements to the cabinet may be ones incorporated (or recommended/approved) by the manufacturer in later or higher priced versions. Non-factory feet, pads, hanging hardware, etc. reduce condition to no higher than "good". 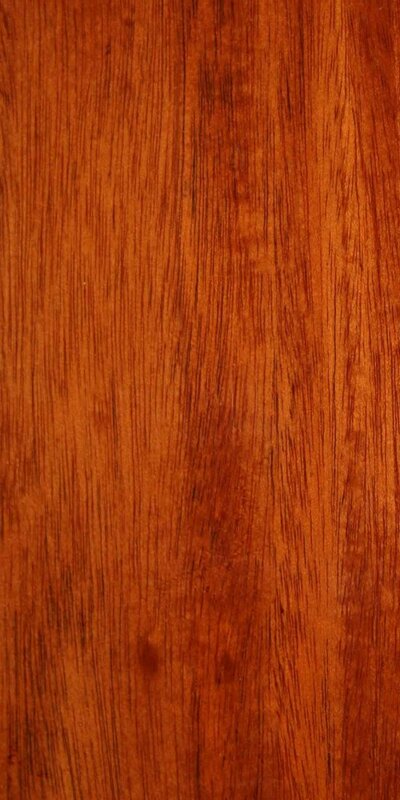 Refinishing in any form beyond re-oiling veneer reduces a speaker to "good" at best, although the buyer may find the work to be an improvement. The older a speaker is, the more value is lost here. Note regarding any alterations or repairs: they must be done in the same way for all identical parts or features in the system. Additionals: These are items that would not have been included with the speaker when it left the factory. Their condition should be described. Optional accessories - original manufacturer provided stands, feet, etc., that were purchased separately. Published mass-market advertising - store ads from local newspapers, magazine ads, etc. Point of sale advertising - dealer-sourced brochures or catalogs. May or may not be rubber stamped with dealer name, address, etc. May or may not be defaced with notes on contemporary pricing, other brands, etc. Promotional items - directly related to the model. These are not typically sold or given to the public, and include demonstration cutaway models, posters, stand-up displays, and sales demonstration aids. Promotional items - not directly related to the model. Posters, signs, pens, pocket protectors, etc., etc. which feature manufacturer and/or product line printing and are year-appropriate.